The mission of the AAFS program is to provide students with a rigorous education that will enable them to become intelligent and productive citizens who are committed to using their learning to better understand the world they live in and also improve it. What is African and African American Studies? African and African American Studies (AAFS) is an innovative multidisciplinary program in the College of Liberal Arts that offers students the opportunity to explore the experiences of people in Africa and the African Diaspora (the spread of people of African descent throughout the world), including the United States, Latin America, the Caribbean, and Asia. Students in the program will investigate the heritage and contributions of Africans and African Americans to world civilizations and cultures. The program also facilitates the development of a global view that is essential for living in an increasingly multicultural society. The interdisciplinary nature of the AAFS program allows for a rich and challenging field of inquiry that can benefit students who have an interest in history, policy, culture, language, law, foreign affairs, medicine, sociology, psychology, education, and various other areas. Students who wish to engage in more concentrated study within the major are also able to design an appropriate course of study through directed readings and independent learning with the permission of the program director and a professor within the program. In addition to offering a major and minor, the AAFS program offers two certificates for undergraduate students. The certificate in African American and Gender Experiences in Education examines how the distinctive social, educational, familial, and racial dynamics that shape the worldviews and struggles of African Americans can impact public education. The certificate in African American and Gender Experiences in Medicine, offered in collaboration with the Boonshoft School of Medicine, promotes an understanding of how race and gender influence the lives of health care professionals and their patients. 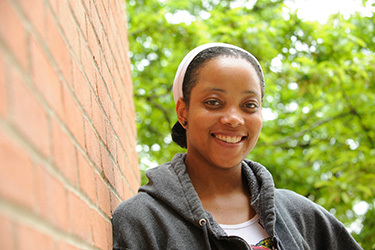 Students will study minority populations in health care settings through courses in communication, philosophy, biology, nursing, African and African American studies, and women’s studies. The AAFS program offers a major, a minor, and two certificates. Students seeking admission to the major must have at least a 2.0 for their overall GPA. The certificate program is available to sophomore, junior, and senior undergraduate students with good academic standing. Students must earn at least a 2.5 cumulative GPA to apply for the certificate program.